Welcome to month one of the Save The Bees Block of the Month hosted by Jacquelynne Steves. I am so happy to be one of the participating bloggers again this year! If you haven’t already, you can still sign up for this free BOM here. Thank you Jacquelynne for your generosity in putting together this awesome block of the month! Each month (through December) there will be giveaways hosted on EACH participating blog, ending with a grand prize giveaway in January, 2019. This month’s giveaway is sponsored by Martingale, and all the details can be found at the end of this blog post (giveaway is now closed). If you’re new to my blog, then please have a look around. You will find lots of tips, free tutorials, and inspiration scattered throughout these pages. You can sign up to receive each new blog post delivered straight to your inbox on the upper right side of my blog (mobile access is at the bottom). I’m absolutely smitten with this first Save The Bees block! My color palette for the quilt will be black, gray and white with a little yellow mixed in. Isn’t it adorable? The construction of this block is very straight forward. If you don’t like applique, then you can substitute a favorite large-scale print or you can embroider it. I’m using raw edge machine applique with black thread and a “scribble” stitch. It’s modern and rustic at the same time! This is by far the fastest way to do applique. No need to pivot around each curve or worry about your stitches being perfect. You are free motion stitching around each shape. To do this, you need to drop your feed dogs, attach a free motion foot, and practice! Another option would be to do the stitching after the quilt is basted. Then you’ll be appliqueing and quilting at the same time. I used a stabilizer (Quilter’s Select Cutaway) on the back of my block that’s very lightweight and can stay in the block. In other words, I don’t need to tear this stabilizer away (or dissolve it) after stitching. It gives me more control and stability and helps to keep my stitch tension more even. I like to stitch around each shape two times to give it more substance, and it’s more “scribbly” in appearance. One thing that it doesn’t do is prevent your fabric from fraying (see the bee below). This is part of the charm of this technique and it’s perfectly fine. If I were planning on a quilt that would get lots of use and need frequent laundering, I would opt for a different stitch such as a zig zag or blanket stitch. I am fairly new to this type of applique, but I can tell already that I’ll be using it more in the future. If you are interested in more fusible applique techniques, check out my applique series. You can see in the comparison below, the difference the stitching makes. I promised that I would share a new, not-so-secret tool for this project. It’s the Pentel Gel Roller for Fabric . This is my new best friend for writing on fabric! The ink is permanent, acid free and waterproof. It does NOT bleed into the fibers like some permanent markers do. It produces a bold line, it glides on freely and it’s really easy to use. For this project, I’m using the pen in place of the embroidery stitches. Again, another time saver! This pen would be perfect to use for your quilt labels and for a signature quilt. I used this AGPtek 17-Inch Tracing Light Box to transfer the embroidery lines. This is another tool that I use frequently and the price is right! My completed block makes me so happy! That bee is just too cute! This month’s giveaway prize is sponsored by Martingale and one lucky winner on EACH participating blog will win a copy of The Splendid Sampler! I love this book and I have made about 50 quilt blocks from it. Thank you Martingale for your generosity and for providing the quilting and crafting community with so many outstanding books! For my blog, all you have to do to enter the giveaway is leave a comment on THIS blog post (not from my home page) telling me your favorite size quilt to make. Make sure to scroll down to the bottom and look for the rectangle that says “Enter your comment here”. On August 13, I’ll randomly pick one winner! This giveaway is now closed. To enter, leave a comment telling me your favorite size quilt to make. Your email MUST be included in your profile information or in your comment. If I choose your name and I cannot contact you, I will choose another name. Giveaway is open to everyone. If you’re located outside of the US, you’ll win a digital copy. Make sure to visit Jacquelynne Steves to get all of the information for this month’s block. Jacquelynne also has a Facebook group that you can post your own photos to. Show us your Save The Bees photos on social media using the hashtags #SaveTheBeesQuilt and #SaveTheBeesBOM. Thanks for visiting today and come back again! I don’t have a favorite size. I let the pattern decide that. Love your color choices. Hi! My favorite size quilt now is wall/small throws. I find that I can get them finished and change out the decor in my house easily. They are also a good size for gifts for same reason as above! In the past I’ve made all sizes from mini quilts to large double bed quilts. These days they are more or less a single bed size, big enough for a teenager to wrap themselves in. I love a throw to cover on the cozy winter nights. I love the colors that you used for your block!! I don’t know that I have a favorite size quilt as I make all sizes and each one is special. I love to make baby quilts. I can’t make the large ones any more because of the pains in my shoulders. Baby quilts are just the right size for me. Love your blog! My favorite size to quilt is the throw size. New to quilting, so that size is manageable for me. Love the block! My favorite size quilt is a queen size, but right now I’m busy doing baby quilts…….so many new grandkids and great grandkids that all need first quilts! The next projects will be queen size for the adult grandkids! So many projects to look forward to. Hello, I’m looking forward to starting Save the Bees quilt. My favorite size quilt is throw size. I’m a beginner quilter and find it difficult to quilt large quilts. My favorite size quilt is a crib quilt, at least for the near future. My 2 nieces are having babies in February. One niece is having twins! Each of the babies in my big extended family gets a quilt. My favourite size quilt is a lap quilt … anything bigger I never seem to get finished. It’s useful but still manageable. I mostly make lap size quilts for cancer patients with a matching pillow to have during their recovery. These provide comfort and lets them know someone cares. I also make queen size quilts for personal use. I love making Twin size or Lap Quilts and Baby Quilts. I love your color choices for this quilt. My favorite size quilt to make is king. Love the gray and yellow! I am just buzzing about this series!! Love the colors! It takes the sting out of having to pick. Honey, I am ready to go. On a wing and a prayer, I’m excited to start. I’m getting hives just thinking about it!! Oh,and by the way, my favorite size quilt to make is, of course, queen!! My favourite quilt is usually the one I am going to do next lol but it seems right now I am loving miniatures. Great block great give away! I like making smaller projects for the gratification of a quick finish. I love using bed quilts so I make the big ones too. I really like your fabric choice and the block is so kissy. I love to make lap size quilts. I love making a throw size quilt. Your grey palet is great looking forward to seeing the next block. Being new to quilting, applique, and embroidery this will be a great learning experience for me doing the BOM with everyone. I have made ALL sizes; currently my favorite size is crib/lap size which I have been using up my stash to make charity quilts for foster children. Great info about the roller-gel pen. I can not wait to start using. Love your fabrice selection, cant wait to see it develop. I love to make queen size quilts! My favorite size quilt to make is lap size. I told myself that if I did’t learn how to quilt my own tops I was not going to make any more big quilts. So now I just make wall hanging except once in a while I will make a big one and then I whine and my sister or neice will do it for me! I love the colors that you have choicen for your quilt. It is beautiful! Your block is beautifully inspiring! I’ve made a wall hanging & a baby quilt. I’m working on a full size quilt. Wall hangings maybe my favorite due to size & quicker sewing. wall hangings are my favorite. I, now, usually make wall hangings or lap quilts. After making so many bed size quilts I have run out of room and beds to put them in or on! Even the kids say, “Mom, a lap quilt will do”. So until I get more grandkids and great grandkids I will keep on quilting smaller things. I like to make baby quilts that are at least 54″ by 65″ so they have a nice throw size when they are older. I like to make other quilts at least full sized so they can at least be a coverlet if someone has a larger bed. I found your blog to be very informative. I like to make throw sized quilts because I canquilt that size on my Juki. I really enjoy your blog. My favorite size of quilt is one big enough for a full size bed. I make them for my nieces and nephews when they go into their first big kid bed. My oldest nephew just had his first child, and he likes to keep his quilt on the couch for nap time with her. They are quick to finish and start the next fun project love your colour your way for this block!! First, your block turned out beautifully!! I love your work and will be signing up for your blog….thanks for the inspiration. I’m new fairly new to quilting but not sewing so my projects are limited. So far I like throw size quilts because they are manageable since I’m doing the quilting. I am working on a queen size quilt which was a little bit more cumbersome but I’m managing. It’s exciting to get done and start new things. Thanks for sharing your wonderful work. My favorite size is wall hanging. So easy to quilt. Enjoy your blog Cute block. When I became a grandmother of two precious grandsons, I began to make baby quilts. So that is my passion making baby quilts. I also make them for my Goddaughters or nieces. The Joy’s of God’s baby feet all sizes. I LOVE THEM ALL!. I make mostly lap size quilts since I do a lot of quilts for charity. I love your applique style, I think I will give it a try! My favorite size quilt to make is approximately 15 x 15, although that size can vary. I have a rack at the back door we hang our keys on as we come and go. On the bottom there is a removable bar where I hang the mini quilts. I have a large variety of small quilts including a happy birthday cake panel and lots of seasonal ones. beautiful block! I love your color choices and I love following your blog on a regular basis. My favorite size recently has been elongated twin for my grandsons who will all grow up to be tall! About the time I get them all finished, it’ll be time to start on the doubles/queens for when they get married. I like a good sized lap quilt. I love your blog and as I have told you before I often order the items you endorse. My gel pen arrived yesterday! I make all sizes of quilts, but now I am going for more of the lap size quilts that I can practice my ruler quilting on. Each one is a new adventure. I love bees and when I seen this quilt, I had to make it. I love seeing how everyone is using different colors and making unique. Love these colors of gray in your block and can’t wait to see more! Quilting is fun in any size. I suppose, though, wallhangings are a favourite since they’re ready more quickly and keep our walls looking ‘warm’ and welcoming through seasons and holidays. I love BIG quilts. King and queen for me. My favorite size of quilt to make is miniature! ! first became hooked on making miniatures years ago because of Miniature Quilt magazine. Miniature quilts sometimes take just as long as a full-sized quilt to put together because of the many pieces that must fit precisely together. They are so cute and fun to make! I generally like to make quilts for what I call “Sofa Size”. You know the size that you can curl up in on a sofa or cover up with for a nice nap on the bed. My preference is for lap size. Although I do like table runners and small wallhangings !! I do not like adding borders ! so my quilts tend to be smaller. I like to make twin/full size quilts. I love seeing people snuggled up on the couch relaxing with them. I enjoy making lap size quilts and wall hangings. I think a large quilt can be overwhelming for me and I get bored if it takes me too long to finish a project! Although I have plenty of unfinished projects! I like the mini quilts. Your choice of fabrics is awesome! I like small to medium size wall hangings. Mostly I like to make lap quilts…not too small and not a large quilt. I like making smaller quilts and projects. I don’t seem to have time to make anything larger. Thanks for the opportunity to win. My fav size is baby Quilt but I will make whatever size is needed for the gift. I’ve always made lap-size prayer quilts for my church ministry. Now I’m learning (by trial and error) to make mini quilts. I love anything mini-size! Beautiful block with your fabric choices. I enjoy making baby size and larger lap quilts! Your block turned out so great! I love seeing it made with fabric other than the original as I want to use something from my stash to make this. Oops forgot to mention I like making lap sized quilts. Lap quilts as I like the control I feel I have with them. I prefer to make smaller landscape quilt and throws – so I can actually finish them! Julie, I most always make queen or king size quilts! More bang for the buck, I guess! I love your choice of bee block fabric! Thank you for sharing with us! Love these fabrics – love making baby size quilts. I too love the colors in your block. When I make mine I definitely will be taking your colors into consideration. It’s very soothing. As for my favorite size quilt to make, hard to answer. I’ve given this thought and it’s fun making a smaller size such as a wall hanging if it’s very intricate but a large bed size is also fun when the design and colors are exciting. It’s just fun to play around with variety. I like making throw size quilts though I have made a queen size. I love your fabrics for this block-it is just so sweet!! Thanks for all you share! I like making nap size quilts, they’re easy to grab and snuggle up in. My favorite size quilt to make are lap quilts! Nothing better than snuggling up in a quilt on a cool autumn night. I can’t wait to start my first block from my scrap stash! For about 14 yrs I was heavily involved in making donation quilts for kids so we shot for about 40 x 60. Lately my own personal quilt projects have been more in the 50 x 70’ish range–toss on the back of the couch, etc. Love your color choices for this project. Appreciate your suggestions on a stabilizer and marking pen as well. Will have to track these down! I love all the ideas, interesting. I love making quilts and the harder the better for me. I love a challenge. I love to make throws. Around 60×60. Just the right size to get completed. My husbands hates that I don’t make big quilts. He says they aren’t big enough to cover yourself from head to toe. Silly man, if you can’t have tour hands free you can’t work on additional projects while lounging. I love mini quilts, I work full time so I don’t have a lot of time and mini quilts can be fun and quick to make. Your block came out really pretty and the pen looks easy and cleaner then most pens. It will be hard for me to get used to the frayed edges of this technique but I am sure to get past that. My favorite size quilt is anything between a throw and twin size. I love to make baby quilts. The joy and comfort they bring the children is life altering. Love your choice of colour! I make lapsize and miniature quilts. My favorite size is pieced flannel 28″x36″ NICU baby blankets! Bees are too close to home to do right now, as literally had to have them removed from my wall last week. What a great quilt block! I enjoy making small quilts including wall hangings and table runners. I usually make lap or throw quilts but I do love a queen once in awhile! Great block!! This is my first quilt. I plan on starting small and working my way up. I especially like to make single bed quilts. They can double as snuggle quilts on the couch!!! Great block. Good color scheme. I like to finish my quilts sized according to the receiver. I love to make miniature quilts, especially if they have hand applique included. My favorite size quilt to make would be a lap size quilt or a table runner. Love,Love your save the Bees! I love to make any size quilt but I mostly make oversized throws or oversized queen. I tend to make large (queen/king) scrap quilts . . . and then, when I go to quilt them on my DSM, I wonder why I was so incredibly foolish! I make mostly queen/king quilts, but table runners are by far my favorite size. Just LOVE the colors you used for this quilt. What a difference from the others! Nicely done in the gray and yellow! My favorite size quilts are wall hanging size. I make quilts in all sizes. My favorite is to make a large quilt to snuggle up with in the winter!! My favorite size is oversized lap. Perfect for curling up on the couch. Fun blocks! Fun colors! My favorite size quilt to make is a throw/lap size, but I also love wallhangings. Your block is beautiful and the color combination is an inspiration to me, thanks! Your choice of colors are perfect for this block. I’m going to get some of those gel pens, my go to size quilt is a queen. I really enjoy your blog. Lately my favorite size quilt to make is lap or throw size.I like your version of the block and thanks or some great tips! I make queen size quilts mostly, although I have a few relatives who might be getting this BOM Save the Bees quilt if I finish it on time. I love your gray/white colorway. I really struggle with stepping outside of the box, as I don’t have an eye for colors. Yours are GREAT! Thanks bunches!! Beautiful block. Thanks for sharing. I love to make large quilts – usually queen or king size. To ask my favorite is hard because I love them all. The twin might be the easiest but queen is the most useful. I love the color choice of your block. How fun is this! My favorite size is the mini quilt. They’re like artwork, each an expression of my mood at the moment and fun to display. I’m a beginner, to start it’s lap size quilts. Thank you for your block tutorial, really like your color choice. I think my favorite quilt to make is a lap quilt although I think a Queen is the most useful for me. My most hated size was a California King Quilt I made for my son. NIGHTMARE! It is a lap or couch size quilt! I love your fabric choices – they are stunning. I like all size quilts and I have recently finished my first large quilt which was a queen size. Quilting a baby quilt was much easier and they are so quick to complete. Love your blog! My favorite size quilt to make is a full size. I am new to quilting, so before I tackle this cute bee project, I plan to make an easy strip quilt – probably baby size. Thanks for tips and technique information!!! I love your fabric choices! I prefer to make queen size quilts that can be used on beds. For the present I think my favorite quilt is child size. I’m about to finish my first quilt top but once I get a little more experience under my belt my favorite quilt size might change. Since I love sunflowers and bees this should be a fun block to make. Small quilts under 36″ are my fave size to make. Love your color theme. I like mini quilts then large then mini. I love to make “couch” quilts. Often called throw. You know the kind, wrap up on the couch when your feel down or rainy day and watch your favorite show or movie. I love your block. I like to make large throws to snuggle on the couch with. I like crib size quilts, wall hangings & table runners. This block is so cute. Thank you for the opportunity. I usually make lap or throw size quilt. Also, like to make baby quilts. Thank you for the chance to win! I’m new to quilting and have only made small wall hanging pieces and some baby quilts. I love your color palette! I wish I had done the same-it would match my bedroom! I love wall quilts. (about 36×48?) Just enough space for nice variety…but small enough to FINISH! 😉 Love your fabrics…especially the honeycomb (chicken wire?) background! Hi…thanks for a chance at this great giveaway. I prefer making wall hangings, baby quilts and table/bed runners….but I love HAVING bed-size quilts. I love your color choices for your block. I had decided on a red, turquoise, gold and black palette but after seeing yours and realizing that I had the perfect “bee” fabrics in a gray, yellow and white palette I think I’m going with that. I hope you believe, as I do, that imitation really IS the sincerest form of flattery. Have a blessed rest of the week. I like to make throw or twin size quilts od smaller so I can quilt them myself. I love your block and I love the raw edge appliqué! I usually make lap size quilts, I enjoy all quilting . It keeps me very busy! My favorite size is a mini quilt and also the ones that I finish. I prefer making lap or wall hanging size quilts. Love your block!! I enjoy making quilts that will be used on beds, usually queen. I have made other sizes….nice to curl up in during the winter months. Great colors.. 90% of my quilts are given to charity so I make anything from preemie size to teens. I’ve never made a traditional bed quilt… Can’t wait to do this quilt along. My favorite size is the crib size. I love pattern mixing and bright colors. I like your color choices! My favorite size quilts have been either throw or full to queen size. I love the grays and yellows! The size quilt I like to make is a little bigger than lap- more “couch sized”. Cute block! Right now my favorite size quilt is baby as I need to make a few of them for presents….. I like making twin size but love making baby quilts! Love your block! Since I’m a fairly new quilter, I like to make throw sizes quilts. I enjoy making lap quilts. I like twin size quilts. They are big enough to snuggle with loved ones. My first and only quilt so far is a lap quilt. Finishing up a table runner then on to this quilt. Love your color choice! I make mostly lap size quilts. My favorite quilt size is lap or baby so I can start to practice free motion quilting. If I’m really honest any size will do…just enjoy quilting! I have played with the gel pen before, thy’re great! I have made crib quilts, lap quilts and twin size quilts and I really don’t know which would be my favourite. My favorite size is a twin. I love the colors you are using for your block. Love your colors and the new applique is something I would try. mostly lap size quilts, but need to make smaller wall hangings. This is such a cute block with rich colors! My preference in quilts to make is queen or baby since these two sizes can be readily given as gifts. Hi my favorite size of quilt is a queen, I like that size as I can give them away and they fit nicely in any home. Ican put them on our bed and who doesn’t love to cuddle under a BIG warm quilt. I would love that new book too. Love the bees quilt!! Gorgeous fabric choices!! My favorite size quilt to make are smaller ones for wall hangings. I’m excited to get started on this one, as I have a friend who raises bees and I want to gift it to him. My favorite size to make is lap or throw, but bed top is also one that I do. The Linus Project likes all smaller quilts. Love your Save the Bees block! I love quilting and most frequently make baby quilts that I donate to Bundles of Love, a local group that helps moms in need. When not making those, I love making lap quilts and minis. Julie, your applique looks awesome! This is one technique I haven’t tried. I love the colors you are using, too. Looking forward to next month’s block. Saw your ‘sneak peek’ on Sew Thankful Sunday and thought, “gee, why didn’t I think of those colors, that combo is terrific!”. Well, probably because I am fairly new to quilting and this will be my first real sew-along. Newbie also means throw size is my only size so far, although I have made a couple minis. Love the colors of your block! Im new to quilting and have learned alot last 3 quilts!! Love the queen size quilts!!! Not sure it’s my favorite, but I make a lot of queen size quilts. Seems like that’s what everyone has. Your block is adorable, I appreciate the info on the special pen! I love making wall quilts and lap quilts. I make mostly twin or throw size quilts. That’s a hard question because I make so many different sizes. I guess Queen. I can easily do the quilting on my regular machine which is easier than a King. I’m excited about this bee savin’ quilt. I like to make wall quilts around 40 x 40. My favorite size of quilt to make is lap or throw size. Anything bigger I get tired of before I’m done! Lap or throw size I know I will finish. I make quilt tops for 2 chapters of Prayers and Squares so they are mostly lap sized. I like your color choices for this project. Thanks for the helpful tips! I love making mini quilts & wall hangings…Love the Bee blocks..I have not done a lot of appliqué so looking forward to this! Thank You ! Love your block Julie! Right now, I’d say mini quilts are my favorite size to make. I love making baby quilts, they are cute and I can get them done faster! My favourite size so far is Baby quilt size. I just seem to get bored and want to jump start a new quilt when I get to this size. I love making wall hangings and crib size quilts! I love your colors and appliqué! I am fairly new to quilting so I don’t have a favorite size quilt to make. I enjoy making full size in addition to small wall hangings. I love to make throws. They make a nice gift and the time commitment isn’t as daunting as larger projects! I love making Queen size quilts. I love your web site. My favorite size quilt is a lap quilt. Also table runners. I love your fabric choices…that block is fantastic! My favorite size quilt to make is a wallhanging — they’re fast! And, I actually finish them. Oops, I was so engrossed with leaving my other comment that I forgot to enter the size I like the best is a lap quilt. Ooo nice fabrics! I generally make lap size quilts although the last one I made was queen size. I’m in the process of hand quilting it! Your block is just so adorable! I love your choice of colors, so happy looking. Thanks for sharing Julie. I like to make oversized lapquilts. I love your block. I enjoy making miniature quilts. Love your choice of fabrics. i like to make lap quilts and small wall hangings the most. Can’t wait to get going on this. Thank you. I like to make queen size quilts.. I have been wanting to make a black/white/grey quilt. After seeing your blocks, maybe this will be the time to do that! I prefer lap size but am working on a queen and wallhangings too. My favorite size is 36 X 42 quilts that my ministry makes for NICU’s. But I always make larger bed size quilts for my family. I love sleeping under a quilt,so I usually make large queen size (almost King) quilts so there is plenty of cover for two people and a dog. Oh, my… absolutely love the fabric choice. It’s perfect for this project. I mostly make Queen size quilts but with two young boys, I’ve also made a ton of smaller sizes. I love making large quilts. I am attempting applique, but have not yet made a good looking block. Love your Bee Block and color choices. Hope I win the book. I like making lap size quilts. Right now I am working on a queen for my daughter, It is big, if like the pattern I will make it. I only have time to work on lap quilts or a quilt block for wall decoration. Otherwise, I get overwhelmed and never finish it. Your bee block is darling! I am fairly new to quilting so lap quilts are my preferred size at the moment. They aren’t so overwhelming to make (and finish). I agree with Connie, your fabric choice is perfect for this block. I make mostly Queen sized quilts. I have a Baby quilt to make for a new grandchild coming soon. Might have to use that cute Bee on the label. By far I enjoy making lap quilts. They are universally appreciated, and I don’t have to worry about whether a mattress is fully covered or not. Who doesn’t like to snuggle up on the couch with a lap quilt? I make all different size quilts, but I think my favorite is a wall hanging size. Love you choices of fabrics! Thank you! I like to make up the 45 X 60 inch size throw quilts because I have no problems with doing them from their beginning to their end/completion on my sewing machine..
My favorite quilted items are table toppers, baby quilts, wall hangings and lap sized quilts. I love your interpretation of Jacqueline’s Save the Bees Block 1! Great fabric choices and you take on the applique was modern and unique! My favorite quilt size to work on is a single size. Lap quilts and baby size also. I like to make mini quilts to decorate my sewing room walls. I have made enough King size. Now restricting to lap and mini size. Something I can quilt myself. I love your colour choice, I like baby size quilts or lapmquilts they are the most useful size especially as I gift all my quilts. I love to make queen bed quilts but my favourite size is lap size because they look great draped on a couch which makes them always accessible and practical for just snuggling under. I really enjoy making all sizes of quilts, but right now lap quilts or wall quilts seem to be what I’m making the most. I like making lap sized quilts because they are not overwhelming. I usually like Double to Queen, however, there are times when a nice lap quilt does the trick. I love to make queen size quilts! I love the color scheme you selected. I haven’t seen appliqué done with this method, but it looks appealing. My favorite size quilt to make is twin. LOVE your fabrics for this! My favorite size quilt is lap size. I enjoy making queen size, too, but I want to actually use my quilts, so lap sized is more practical. I like all sizes but since I quilt on a domestic machine I can manage up to a queen size. Your site is great & your block is adorable. So many great ideas for this adorable block. Thanks for adding your expertise! I love your colors. Also thanks for the appliqué ideas. Hi. Your gray, black, white, and yellow combination is stunning! My favorite size quilt to make is a twin, but I usually end up making them larger. I love the quilting process so I like queen size the best. I make quilts for family members and everyone has a bed. I prefer lap quilts. I don’t have the patience for big projects. I would have to say lap quilt is my favorite size since I’m a beginning quilter. Of course, that could change as I get more practice and move on to larger quilts. I love the colours you chose for the block! It looks great!! My favorite size quilt to make is a baby quilt. I love the ease of making one, how quick they come together and how much fun it is to work with such cute fabrics! I’m a beginner but live to make baby quilts. I love your block I’m so inspired your color combination is beautiful. Love your color way for this quilt. I like to make map size quilts because I can easily quilt them in my standard sewing machine. I’m fairly new at sewing. I like making twin size and lap quilts. I love all of the vintage look patterns. This block looks like fun. I love to make baby quilts! The book looks great. And I love your block. I love the fabrics in your block! My favorite size of quilt to make is lap size/throw quilts. I like to make full or queen size quilts. However, it’s great to make a baby quilt which finishes up so quickly! My favorite size quilts are lap quilts. Love your fabrics for Save the Bees. I enjoy doing smaller quilts. I am not an experienced quilted, I have made two quilt tops and have yet to finish them. So I guess that means I don’t really have a favorite size. I love making things, including quilts and really like choosing fabrics that may not be the’norm’ so your grey really knocked my socks off! I am inspired that my choices may just work! Thanks for the inspiration. Carol K.
My favorite size quilt is a lap quilt. I think you did a great job in your choice of colors. I am a newbee. I have been working on small projects getting my feet wet. I would love to do a full sized quilt for my bed. I love baby quilt lately as I can the “pattern” and finish it in time that suits me … I’m not working it forever! I used to always make queen sized quilt, but realized they weren’t being used on beds, so now I usually make large lap sized quilts! Beautiful block–I love the idea of using the marker rather than embroidering! I don’t seem to have a favorite size. I stop when I tire of the pattern or it’s done. I like your greys. When I think of bees grey wasn’t on my list of colors but this is nice. Can’t wait to see your other blocks. Love your beautiful block. I’ve made all size quilts but am really into lap size lately. With being blessed nearly every year with a new grandchild the baby size quilt is my favorite! Love those colours – I am planning to make mine in the same!. I love lap quilts the best. My favorite quilt size is a throw quilt. I finished my first queen sized quilt this year and that was a LOT of quilt. I like to make skinny quilts and wall hangings best. Thanks for your great blog. I love the colors you chose for this block too. I make many lap size quilts for Project Linus. Love your colors! I like making lap size and baby quilts. I love your fabric choices ! Love your fabric choices! Makes me want to rethink mine! I enjoy lap size as I’m trying to have complete quilts done by me! I am new to quilting! So far I like the baby size quilts the best! I love making queen size quilts. Your block is really cute. Julie I like to make lap quilts, they don’t take long and I love to share them with others. I love to make queen and king sized quilts. I send mine out to the long armer! Hi! I prefer making wall hanging quilts or smaller. I really like your idea of going around the applique 2x. It gives a really super accent. Your colors are great!! I like making lap quilts and table toppers or wall hangings between 24 and 36 inches. I love your color choices for Block 1. I mostly make lap quilts. I love your color choice for the first block. Would love to win the Sampler book. Lap quilts are easiest for me as I cannot handle a full size quilt at the moment and all my quilts have been for children or myself. So lap quilt size is best for me. Love, love,love your fabric colours for this Save the Bees block. May just have to go something similar. Thank you. I like making all sizes, from coasters to king quilts. That way I have something for everyone. I love the colors in your block and the scribble applique! Absolutely adorable! I’m fairly new to quilting. I’ve always wanted to quilt since my early twenties but I never thought I could do it. Here I am now loving it!! I like making smaller quilts for small children or lap/throw quilts. Eventually I will get my confidence up to make something big enough for my own bed. I like your color selection. It would go much better with my decor. Lately I’ve been doing mostly table runners and wall hangings. In the middle of chemo with not much energy. Looking forward to doing a king size quilt for my own bed! I love the fabrics you choose to do this quilt sampler. I’ve been making 60×70″ memory quilts lately. I’ve made all sizes of quilts – from mug rugs and coasters all the way up to a king size. Lately, it seems that most of my ‘current favorites’ are usually approximately 60″x60″… and seems to be the ‘perfect’ size – not too big and not too small. Right now have 2 lap quilts and 2 closer to full size to finish. All fun to do. My absolute favorite size quilt to make is a baby quilt. Great colors! My favorite size of quilt is lap size. I love the black, gray and yellow! The size I make the most is lap size and baby size. They make great gifts. I am new to quilting, so small sized quilts are on my list for now. Great colors! This has me rethinking my fabric. I haven’t bought it yet. I like doing lap size quilts. They go together fast and are easier to quilt on a home machine. I love the colors you used in this block, its too cute. I like all sizes of quilts, but lap size is the perfect size, easy to handle. Great block and the tips are great too. My favorite quilt size is a throw size and smaller. The majority of quilts that I have made are baby quilts or wall hangings. At least with small quilt sizes, I can finish the projects. I seem to have a problem with finishing larger quilts. I love all sizes of quilts — I ususally quilt on my home machine – althought I just purchased a Babylock Jazz — so have more room for the quilt. My favorite size quilts are the wallhanging ones. I find smaller quilts quicker and easier to manage. I love your colors. I’m looking forward to seeing the completed quilt! I enjoy making all size quilts they are all unique in their own way. The largest quilt I made was for a queen size bed and that was fun as were all the quilts which I have given quite a few as gifts and to family as I’m sure everyone can relate to who quilt. Baby quilts are my favorite. They finish quickly and are always cute! I have not made a quilt lately it was when my children were younger iveI just gotten back to sewing. I would like to try a queen size. jimmiew8442@gmail.com . I love to make samplers. My go-to size for quilts is a lap quilt. I am also starting to make more small wall size quilts because I realized that I’ve made and given away a lot of quilts, but I don’t have anything decorating my home. I want to make some small seasonal wall quilts to display on the wall – it’s near the top of my growing project list. 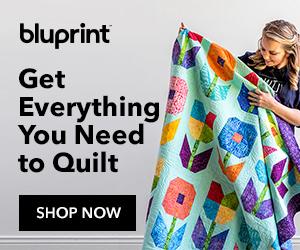 Lap-size quilts are my favorite to make, since these seem to be the ones we use most in our house and I love to see our quilts grow old and raggedy with love and use. A close runner-up is mini or wall quilts, which allow me to express creative ideas somewhat quickly, and to display them. My current favorite is lap sized quilts. Your grays are very tempting. My favorite size quilt to make is baby or crib size. I like to see progress and get it finished! I like to make lap size mainly. They are fun and go together more quickly, although I’ve made several queen size as well. Love your block. I’m thinking of trying the applique. I enjoy making baby quilts. I made them for my children and grandchildren as keepsakes. I also like to make doll quilts to practice different techniques and patterns. Table runners are great for technique practice too and the fast turn around is nice. I’m working on a queen size quilt and it has taken forever because it is so heavy and bulky. My favorite size is throw size, too, because the chance of them actually being finished (at some point) is higher. I love making all sizes of quilts for my grandchildren and adult children! I like to make full size quilts. They seem to work out best for beds. I like wall hanging size for different holidays but king-size is my favorite for full size quilts, since that is the size bed we have. Most of my quilts have been lap size quilts. I did finally finish a queen and placed it on one of my upstairs beds. I’m fairly new to quilting, but love it all. I like making all sizes, but the small ones are especially fun. I love making mug rugs, table toppers, wall quilts and baby quilts since the finished product is so quick. However, I now have a king sized quilt, a queen and a full sized top all finished ready for quilting and I have another queen size with all the blocks done, just waiting to be sewn together. I do prefer the smaller quilts though. I have to take the larger quilts to the local quilting store to finish them, since all I have is a regular size machine and except for quilt as you go, it is too difficult to work with. My favorite size quilt is a throw size. My favorite quilt size to make is Queen Size a close second are crib quilts. Love the colorway for your block and the embroidered bee trail looks great. I love making all size quilts from baby to king, but since recently moving into a retirement community, in an apartment that has a 16 x 40 inch niche outside our door, I’ve been having fun making little seasonal quilts to hang in the niche as a backdrop for flowers, wood carvings or sculptures. I love your color choices and all the helpful advice with pictures. I have a wall in the dining area of the kitchen I hang wall quilts. This is definitely going to be next summer’s with those colors! I do enjoy making throw size quilts and wall hangings size quilts. They get done much quicker. Love your fabric choices for the Save the Bees Quilt along. Make mostly small quilts to cuddle with on the couch or big chair. Was waiting to start the bee but guess I didn’t sign up for haven’t gotten the pattern, getting old thought I did. I have a Bea quilt on my list so excited to get started. I mostly make small quilts-Scrapbook covers for all new born and newly married, Table runners and place mats , I decided to NEVER make a king size after my last one, queen size aI am making for myself (a 1st). I love your block. Very interesting color choices. This is my first time to make a BOM from Jacquelynne. It should be fun! My favorite size is table topper size. About 3 foot by 4 foot. I’ve made bigger for gifts. But I like to get a project done and go on to something else! I tend to make a large lap size. Over the last few years have been making Mystery quilts which are coming out that size. So enjoyable. I so love making up Splendid Sampler Blocks as well. I love making bed sized quilts the best they take more time but the process is more in depth! OOPS! I forgot to share what size quilt I like to make. I love to make wall hanging size quilts. Wall hanging size for me is about 36″ x 48″. Baby quilts were my favorite, since they were easy to quilt on my sewing machine. However, I just finished my first quilt on my new longarm yesterday, and see larger quilts in my future! I’m planning to make a queen for our bed. I use those fabric pens for my quilt labels and for my last two signature quilts. They work great! I make queen size quilts and wall hangings. I loved your color choices. I love your fabric color choices! It will be fun to see everyone’s fabric color choices! I like your choice of fabrics and thanks for the tip on the pentel pen. I like to make small wall quilts or baby/doll quilts. I have been making twin size quilts for grandchildren but prefer baby or lap size as they go together much faster. I’ve typically made bed size quilts but am making more smaller quilts all the time. I like making lap or twin size quilts best as that size is easiest for me to handle. I love your color choices for this cute BEE quilt. Love your new Bees quilt. looking forward to seeing all the blocks. I love to make 60 x 60 quilts approx. I like making lap size quilts. I have to say I like a 60″ x 60″ quilt size to make. It seems the perfect size for anybody. Not overly big and not a lap, just right. Love your colour choices. Thanks for the handy tips. I Like to make wall hangings and table runners that I can change around for each season. I seem to make baby quilts the most; there’s always someone my daughter knows who needs another quilt!! I like to make baby quilts. I love giving them as gifts, and they’re quick to make! I am a beginner with quilting, so small projects are great! Love your colors! I am now into all shapes and sizes of table toppers. I get to learn more and different patterns. This is the second bee themed quilt I’ve seen this week. The bees are coming back on quilts! I love the ease of quilting wall hangings, but since queen size quilts are more useful, i usually end up making the larger size. Thanks for your cheerful blog! I generally make queen sized quilts/ However, as I get older I will probably make more lap size quilts and wall hangings. They will be easier to handle. I don’t have a preference for quilt size, I just make the size that I need! Of course smaller projects take less time so you can start another project sooner. I love making larger quilts, Queen or King. But sometimes I need a break and will make a Baby quilt. Thank you Julie for this opportunity to win the Splendid Sampler Book. I like making queen size quilts -they’re not too big, not too small. I am IN LOVE with this block and your colors! I can’t wait to make mine! My favorite quilt size to make is a lap quilt. A close second is full/queen bed size. Lap quilts are my favorite . They don’t take so long to make and I can manage the bulk and quilt it on my DSM without too much problem. My favorite size of quilt is a lap quilt or a bit larger. I love playing with mini quilts. I can use up my scraps, be as creative as I want to be and they can be used for so many things. I enjoy making baby quilts because they are quick and fun. My grand babies love them!! Queen size quilt are my favorite to make but also make table toppers. My favorite size is about twin size, adding extra length as we are tall people in this family! Love to wrap up on a cold night with one of my quilts. I am fairly new to this “sport” and am totally smitten! My favorite size is going to be the new queen size I make for myself! Have the material but need a pattern that hits me the way the material did! Can’t wait! I love the grey with the yellow. I havent chosen my fabrics yet, and I might choose grey now. Your vlock is beautiful! I love making lap quilts! They are quicker to quilt (hand quilter) and the grandchildren love to cuddle under them! Hello Julie; Your block is magnificent in every aspect! Using the grey and white fabrics with the bits of yellow just makes every part of your block stand out! Yet, at the same time, your yellow fabrics are great attention grabbers making each section of the block important. Your applique is fabulous with using the free motion stitching and also using the new permanent pen. Applique is such a wonderful part of quilting in that there is no right or wrong and it is perfect for trying out anything new. I appreciate your sharing all of your information and techniques with us today, I once again learned something new plus just enjoyed looking and reading your post!! My answer to your question a few months ago would have been queen sized, but I am now hooked on making Baby Quilts up to Lap Quilts in size! It would be amazing if I would win this great book. Thank you again for sharing! Have a splendid day! I usually make small wallhanging quilts…no specific size. I love your Block One, it’s so cute! I like making almost any size quilt, but do lap size more because I can move on to other projects quicker! I wish I had considered the B/W and yellow – love it – maybe next time 🙂 My favorite thus far are lap to twin size..
Love your block! My favorite quilt size is a table topper. They are quick to piece and easy to quilt. I love making baby quilts because they are so cute and personalized. Your choice of colors are perfect!. Can’t wait to start. Baby quilts are my favorite size to make. I love making baby quilts & lap quilts. I have made queen size in the past but don’t always get a chance to complete them. Love your fabric choices. Your block is adorable Julie. Your block is so cute! I like making lap size quilts. I love making baby quilts. I love your color choices in this block! Wall Quilts or minis have to be my favorite. I can quilt them myself without sending them to a longarm quilter. Love your color combination!!! I like to do EPP so my favorite quilt size is around 36″ X 48″. Hi. Gorgeous block 1. I love making lap quilt size quilts, tho mine tend to grown larger. I like to make lap-size quilts and baby quilts. Love your stitching! I think I enjoy making a full sized quilt. I enjoy receiving your email information. Love the bee block and thanks for tips on new tools. My favorite size quilts to make are anything suitable for wall hangings. They are so much fun to do and easy to change for holidays or seasons. My favorite size quilt to make be a large lap size and I having started really liking small wall hangings for seasonal decor. Love your block! love making small wall hangings and mug rugs, great for small gifts to keep on hand. Love your colours. My favorite quilt size to make is the Queen Size quilt. It takes longer but gets better use out here in the desert where I live. This bee-themed quilt looks fun to make. My favorite size when I am looking for a quick sense of accomplishment is a lap/throw size. If I truly want to test my abilities, I make a queen size. I love the colors that you have chosen. I like to make lap quilts mostly. Easier to handle and to quilt. Now, I am so happy to see as my first block to view – one that is made with greys – great inspiration, thanks. I love making lap sized quilts. Can’t wait to get started on Save the Bees! I have made larger quilts, but I tend to make throw or twin size ones since my mom hand quilts them for me and they are manageable for her. Thanks for the chance to win an amazing prize. Thank you for your appliqué tips! I’ve done machine appliqué before, but I’ve never used this method. My favorite size quilts are wall hangings and lap quilts because they are quick to do so I can get on to my next project! LOVE MAKING 36×48 FOR BABY CHARITY QUILTS! THANK YOU! I love your color choices. I make mostly lap quilts. I usually make wall hangings or a variety of quilts for the grandkids. Love your block colors. I prefer lap size quilts. My favorite size quilt is lap or just a little bit bigger. Thanks for the appliqué tips. I think I’m going to actually give it a try on this quilt. I love making wall hangings or throw size quilts. I certainly like your choice of fabrics for the sew along! I love your fabric choices! My favorite size is probably queen size, even though it takes forever to hand quilt! I like to make twin sized quilts for my girls’ beds. I like the bee block, that would make a fun quilt for summer. I really like your color choices for your block. And I am going to try the scribbly stitch for my applique. I have been using the blanket stitch but since this project will be a wall hanging, I can get away with a different stitch. I am also going to look for that pen you used. I enjoy embroidery but I am also all for saving time (as well as honey bees.) Thank you for your tips. I love your block and the colors you chose!! They are right up my alley! I have made quilts of all sizes, but most of them end up being throw size. I work in a quilt shop and that is the perfect size for display. Thanks! Fabulous color choices. It’s mini quilts for me. That’s how long my attention span lasts. I love making lap size quilts. They finish up fast, so they are easier to part with as gifts! I have made all sizes of quilts. I send out the big queen size to be quilted so the lap size is my favorite because I can do the whole thing myself. Thanks for a chance to win The Splendid Sampler. Love this block, will be a fun one! I like to make full size or throw size quilts. My favorite size quilt is lap size (around 50×70) because it is possible for me to quilt on my home machine. I am so excited about this quilt as I love bees! Love your color selection and scribble stitch. Do alot of lap and baby quilts. I love this first block. My favorite size to make currently is table runner/small wall hangings. I am learning to do free motion quilting on my home machine and it is less challenging to practice than bigger quilts. I mainly like to do bed size quilts as I am new to quilting and love to give them to family members but our guild donates a lot of quilts so I do some lap quilts also. I love your colors and thanks for the blog I love it. I like your fabric choices. I like doing lap/throw sizes because they seem to be the most useful size and might even be used more often. I asore the fabric color of your block! I love making full to queen size quilts. I enjoy quilting them on my dsm. I usually give them for gifts or donate which can be used on a bed or a throw. I really love this pattern and bees are one of my favorites. I love to applique. Thanks for a wonderful block! I mostly make throw size and kids quilts and some small seasonal pieces to hang on the front door. Love your use of color in your block. I am just beginning to quilt, but I think I like to quilt twin size. There is so much to learn. I love your colors and style for this quilt. The tracer light block looks great. Hi Julie, your bee block is adorable, and I love your choice of colors! I like to make twin size quilts or larger because I like to snuggle under a big quilt! I just love making quilts. I often don’t know what size they are going to be until they are finished. Not very organised I know, but Hey! It’s supposed to be fun. Your bee motif is gorgeous. I have to join this. I have only made 2 wall hangings and several different blocks so far. I would like to get to where I can make larger quilts. I like to make throw size quilts and I love your choice of colors for the bee block. Thanks so much for this project! My favorite size is table runner but it is also whatever my project is at the time! I like to make the throw size quilts the best. Throw size (60×80) seems to be what I make the most of, although I prefer to make queen size quilts. Right now I’m making twin size for my newest granddaughter! So fun! I like making small home decor projects- table runners and mats but I also like making queen size quilts. Big family x lots of beds. Your gray really pops with the yellow. Very cute. I love all sizes of quilts. I have some mini quilts that are adorable and who doesn’t love snuggling up in an oversized quilt! I love your block. The colors are wonderful and I love your scribbly stitch! I am hoping to get going on this block soon. I love the fabrics you chose to use in this quilt. I think that my favorite size quilt is a throw size, most of what I have made so far are that size. I love fabric choices for your block AND telling us about the gel roller pen for fabric. I didn’t know that pen existed. I like to make smaller (baby, lap, or throw) quilts since I quilt myself on a domestic machine. Thanks for being part of this QAL. I LIKE TO MAKE THROW SIZE QUILTS. nICE AS A GIFT & MANY USES! i love making all sizes of quilts but there is nothing easier or quicker than baby quilts. I love your colors. I make a lot of baby quilts for gifts. Also enjoy making doll quilts & lap quilts. Saving the bees has been a concern of mine for a long time — love this BOM and will really enjoy making it. I make lap quilts or wall hangings most of the time. I like to have twin sized quilts they are a great size for a couch or a wall but plenty of space top work out an idea. Love you color choices! I have been quilting/piecing for several years. I mostly make throw size quilts. Some for children’s charities. Enjoying BOM’s. Your color choices are stunning! I think your applique method really enhances the pieces too. So many quilts, so little time, so I favorite smaller, lap sized quilts. Good morning from Delaware! I have made all different sizes and like all but king size! I have been thinking of using similar colors thinking it would be more bee like! Thanks for joining this BOM! this is my first time to.Visit a blog but won’t be my last! I love to make midsize quilts and have recently been learning to paper piece. I look forward to this BOM. My favorite size quilt to make is a lap or throw as I do all my quilting myself. I do tend to make other sizes but those are my favorite. Love the yellow, black and grays of your block. I love to make wall quilts. Love your unusual color scheme.I need instant gratification so I like small quilts and lap quilts. I love to make the bigger quilts, usualy queen size, but i love to quilt so am open to any size. Thanks! My favorite size quilt is a lap quilt. I love to make comfort quilts for chemo patients. I LOVE LOVE your color choices on your block! It is so me! My favorite size quilt to make is baby quilts because they are easy to quilt on my domestic machine. I also love to make lap quilts. Thanks for your blogs! I make most of my quilts large lap or twin size. Love your color choice for Save the Bees BOM. I use to make queen size quilts, but the last few years, I am moving towards smaller quilts-wall hanging size. I love your color choices! I try to only make quilts that will fit a bed, twin to king. Occasionally I make one that is throw size but most patterns can be enlarged to make them usable on a bed. I like to make smaller size quilts/projects mainly lap size. I just bought a new quilting machine and I’m trying my best to learn how to use it. I also like to read, sew, paint and do vinyl projects with my Cricut. I am a retired school teacher and I’m loving it. Love your fabrics! I like to make lap size quilts! Not too big so I can machine quilt on my domestic machine. I am excited to make this quilt for my aunt who keeps bees! I enjoy making quilts from wall hangings to twin size but might attempt a queen size soon. I like throw size or smaller quilts because they finish quickly. Your block is so cute, Julie! I haven’t even looked at my fabric yet. Oh, forgot, my favorite quilt size is whatever size I’m working on at the time! Baby Quilts and wall hangings are my favorite because they are quick, easy and very fulfilling! I like to make large lap quilts. Love your color scheme for this quilt. Currently I am making baby quilts for a local family birthing center. I make 36×36, as they requested. It’s a perfect size, easy and quick. I enjoy seeing these quilts so much. I would love to win a cot of Splended Sampler. I mostly make lap quilts and throws. This blockbuster adorable! My hubby is a bee keeper, so this BOM is right up my ally! I like to make throw quilts but often make queen size, too. I made 5 baby quilts last week because my supply was getting low and my kids friends are having babies. I love making baby quilts, and over sized lap quilts. I think that is because I can finish them!! LOVE YOUR FABRIC CHOICE. I TEND TO MAKE A LOT OF LAP SIZE QUILTS, WORK GREAT FOR GIFTS AND FOR DONATION. This is going to be my first quilt so I’m very excited! So for now this is my favorite size. I love the colors you choose. Love your block, the colors are perfect!!! My favorite size quilts are wall hangings, I love to change the quilts on the wall seasonal or holidays. Thanks for the tip on the pen. While I make various sizes of quilts, I prefer medium to small wall quilts. Love the colors you chose. You always have a good eye for color. I generally like lap quilts best, but lately I’ve been having lots of fun making table runners. Probably about 12 in the last few weeks! I love this block. My favorite size is mini’s to wall quilts. I can usually quilt those myself. Thanks for your comments about Pental Gel Rollers for fabric. I was making a label this weekend and was totally frustrated with the pens I have. I clicked on your link to Amazon but am wondering if The Granary carries these? Would like to shop locally. Thank you! Hi Judy, The Granary does not carry that pen YET. Thanks for checking. Enjoy making regular and queen sized quilts. Thanks for doing your blog and giveaway! I have just started making wall hangings, and i love making quilts that you can actually use. So I like all sizes! Love your color choices for this project! Oops I forgot! The size quilt I prefer to make are twin size for my grandchildren and queen size for adults! I like making lap size quilts and I love your choice of fabrics! I tend to make King size quilts, but I am trying to go smaller and do more lap quilts. Your block looks beautiful. I make baby quilts for donation and my grandchildren love throw quilts. Since I’ve never made the same size quilt twice, I don’t know what is my favorite. Probably throw size that can be used and displayed in the living room. Thank you. Love your color choices. I love to make queen and king sized quilts when I have time. Love the color choices here! I prefer to make large wall hangings and full size Quilts…..thanks for the opportunity to win! I do a lot of appliqué and I’m forcing myself to learn piecing. I prefer a large lap quilt as I now have a frame to learn free motion quilting. I enjoy making king and queen sized quilts but they’re becoming too difficult for me to finish. I would love to start making wall hanging size so I can do lots of different techniques. Love your Save the Bees block! So cute! My favorite size depends on the person I’m making the quilt for. Any where from kind to baby size. Of course there are wall quilts, table runners, lap, etc. I love making all sizes, why limit yourself to only one size when there is so much fabric to be had! Love your block! I love to make lap size quilts and table size! Hello from Kentucky. I am very excited to start this “Save the Bees” quilt. We have a farm and actually understand exactly how important the bees are for our crops. The really big reason is I just purchased my own Innova Quilting Machine this weekend. The local dealer had one for sale that is 10 years old and was never assembled by the first purchaser. I will recieve it in about two weeks with all their help. Now I need to get started finishing quilts and starting this one. I enjoy making smaller quilts like lap or wall hangings, I think because I can be done faster- instant gratification! Any size quilt is great for me — lap, baby, wall, twin, queen, king — just want to finish it! Hi, I am so excited, I love to make throw size quilts. Save the Bee’s will be my first attempt at applique. You make it sound so easy…. I like making baby quilts and throw size quilts. I love making lap quilts. Your color choice on your block is so beautiful. Thank you for sharing. I make a lot of baby quilts. I make one for each of my 25 nieces/nephews when they have their first child. Keeps me busy! What a beautiful block Julie. I love, love, love the detail. My favourite quilt size is a lap quilt. It is more manageable to make, I don’t get so bored making it like I do with a big quilt and I think it is more practical as you can use it to decorate, snuggle up in , donate to a cause, or a tablecloth even. I love the baby quilt size. I have had four grand babies born in the last five years & found this size not only good for babies but for wall hangings to decorate everyone’s high ceilings. Love these summer bee blocks! I start with small sizes and then keep getting bigger! Love your fabrics! My very favorite size is table runners. Super quick to piece together and I can try so many different block patterns without having to make a complete quilt. Table runners are also the perfect gift size for so many occasions. This BOM is is ADORABLE!! When I have the time and patience, I make King quilts for my bed. The most common size quilts I make are either baby quilts or throw quilts to give as gifts. I love making Full to Queen sized quilts, or at lease that is what seems to happen. I also love to make baby quilts because I can imagine a small child pulling the quilt around and loving it until it is in tatters. I really LOVE your colors and scribbly stitching! It’s adorable! My favorite size quilt to make is a large lap quilt. Big enough to wrap up under but portable enough to take along on a picnic or vacation…! My favorite size quilt is a wall hanging or twin. I hope to make some bigger ones now that I’m retired. I love anything design to do with bees! my favorite size quilt to make is twin. Your block is adorable! I have never tried this method of applique… looks like fun! I find that I usually either make miniature quilts or bed size… usually ending up to be a double size. Love your fabrics! Very creative! Hi, I make queen size quilts mostly but I have been getting into smaller size wallhanging lately. They are quick and can be displayed in the cutest ways. I would love to win the book. Thanks for having me. I love the colors you chose. Such a cute block. My favorite size quilt to make are all hangings or small throws. I actually finish them! Great choice of fabrics Julie! This is such a fun block!